Fantastic Beasts: The Crimes of Grindelwald starring Eddie Redmayne, Katherine Waterston, Dan Fogler, Alison Sudol, Ezra Miller, Zoë Kravitz, Callum Turner, Claudia Kim, William Nadylam, Kevin Guthrie, Jude Law & Johnny Depp had got approx 1000+ screens across India. David Yates's Directional venture American fantasy film Fantastic Beasts: The Crimes of Grindelwald is a big budget movie. 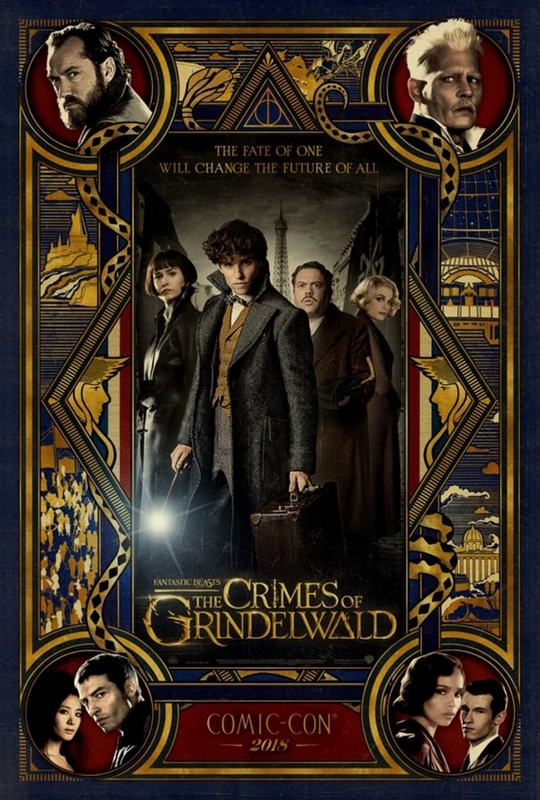 Fantastic Beasts: The Crimes of Grindelwald Should cross 50.00 Crore nett to be called a hit in india. -> First part of The film, Fantastic Beasts And Where To Find Them had collected 2.10 Crore in its first day at indian box office and the life time collection of the film was 15.90 Crore. -> Harry Potter series is incredibly popular in India and the last part of Harry Potter deathly hallows part 2 had grossed an incredible $07.70 Million [T.F] in India. -> Fantastic Beasts in 2016 did well worldwide with a $814 Million gross. No Comment to " Fantastic Beasts The Crimes of Grindelwald Budget & Box Office Collection India And Worldwide "